NDA 2019/2020 Admission Screening Exercise, Test or Examination has been postponed or rescheduled to another day. This is as a result of JAMB not holding on the date as originally planned due to 2019 General Elections. Therefore, NDA postpones the entry examination screening test or exercise. The conditions or cut off mark that would qualify every candidate for NDA Admission Screening Test 2019/2020 is that only candidates who satisfied the admission requirements and must have the JAMB or UTME score of 180 for Arts & Social Sciences and Science while 210 score for Engineering courses will be enabled to print the Screening Test Admission Card and participate in the NDA Screening Test at the Centre of choice. TWO (2) postcard size (3.5 x 5 inches) The photographs should show only from the chest upwards and should contain the candidate’s Name, Exam number, State, Exam Centre, Course of study and Signature at the back. Click Here to see JAMB Subjects Combination for NDA to confirm if you will do change of course to the most suitable one to avoid not being admitted. 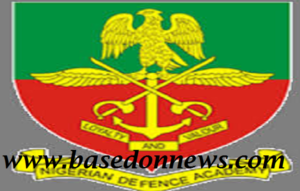 From the office of Academy Public Relations Officer through Major Abubakar Abdullahi; The Nigerian Defence Academy (NDA) wishes to inform all applicants of the 71 Regular Course that entry examination earlier scheduled to hold on 13 April 2019 has been postponed. A new date will be communicated accordingly. This confirms that a new date will be disseminated soon. To be regularly updated of the Screening Examination Test Date, kindly subscribe to this site using your Email address for FREE. Also, LIKE our Facebook page and FOLLOW our Twitter News Handle. Please keep me updated when the new date for NDA entrance examination is fixed, thanks. Do anyone have any idea on what to do? Please kindly keep me updated.